At GVF, we have an open door policy because we believe transparency is essential to accountability. We use intensive pasture management, rotational grazing and multi-speciation of the pastures to deliver the highest quality, cleanest and most nutrient dense food possible. We make a great distinction between the term “free range” as opposed to our pastured method, simply emphasizing the daily rotation of the animals in a symbiotic and natural sequence. Our cattle are rotated ahead of the chickens, which clean up after the cattle before the ground rests for an extended period of time. The pigs are rotated through the wooded areas and pastures in a similar manner. The cattle are 100% grass fed; while the chickens and pigs have access to free choice non-GMO grain rations to supplement their pasture diet. This rotation and multi-speciation confuses pathogens and provides a platform that allows us to grow animals without the use of any type of medications, hormones or antibiotics. Our chicken is harvested here on the farm in an open-air processing facility far cleaner than any indoor facility. 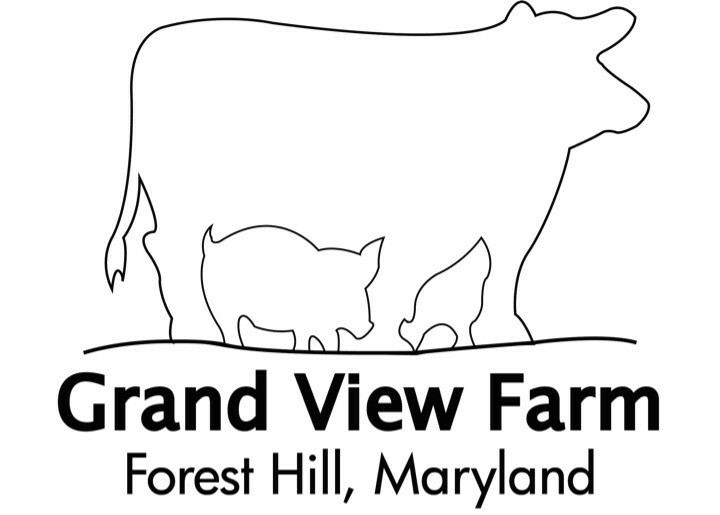 Our chicken is inspected and certified by the Maryland Department Of Agriculture. We use Bowmans Butcher and Smuckers Meats for the processing of our beef and pork, both of which are USDA certified and treat our animals with the upmost care and respect.